When injury, pain, or aggravation occur, we offer Integrative solutions for your problems. At Heritage Integrative Healthcare, we offer simple, proven, and effective therapy for a wide range of muscular and joint problems. We combine traditional chiropractic methods with complementary therapies to ensure the highest treatment outcomes. As a specialty clinic, we often see very complex problems, including cases where the patient has multiple medical specialists. Our integrative team of doctors are trained to provide you with all the right therapies, advice, education, and resources to feel better now and return to the life you enjoy. 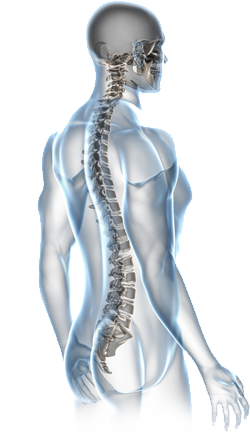 Our unique approach to diagnosis includes a comprehensive kinesiology evaluation with integrative knowledge of metabolic and neurological disorders. Our doctors treat a wide spectrum of muscle, joint, and spinal problems, including the evaluation of underlying digestive and endocrine dysfunction that often disrupts the healing of muscle, joint, and spine conditions. The Heritage Integrative approach combines both traditional medical and advanced diagnostics with integrative therapies and techniques. our goal is to provide a means for you to feel heathier and pain free today, and pain free every day after as well.